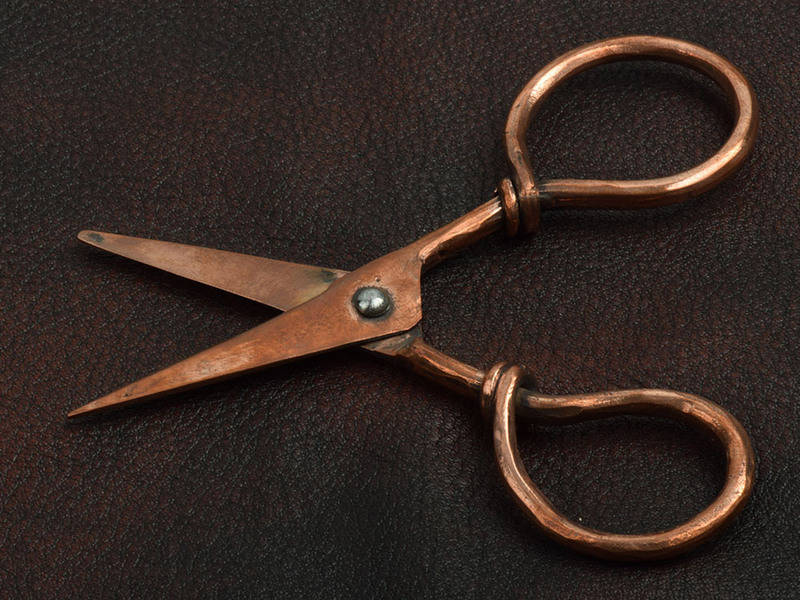 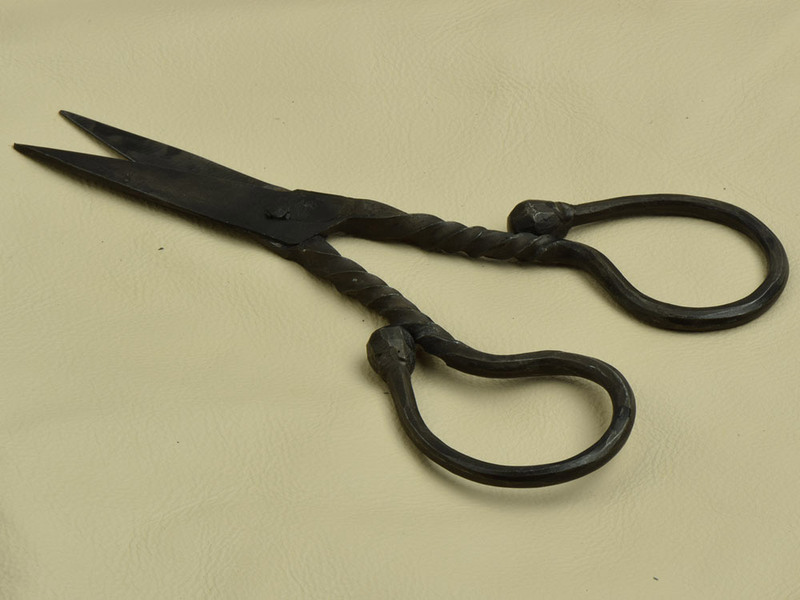 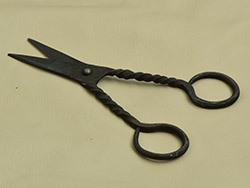 * Scissors / Thread Cutter, Antique Design Gift Set. 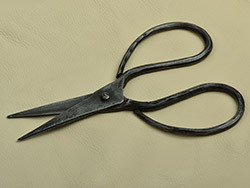 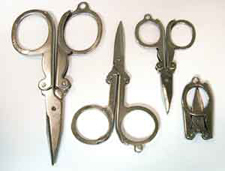 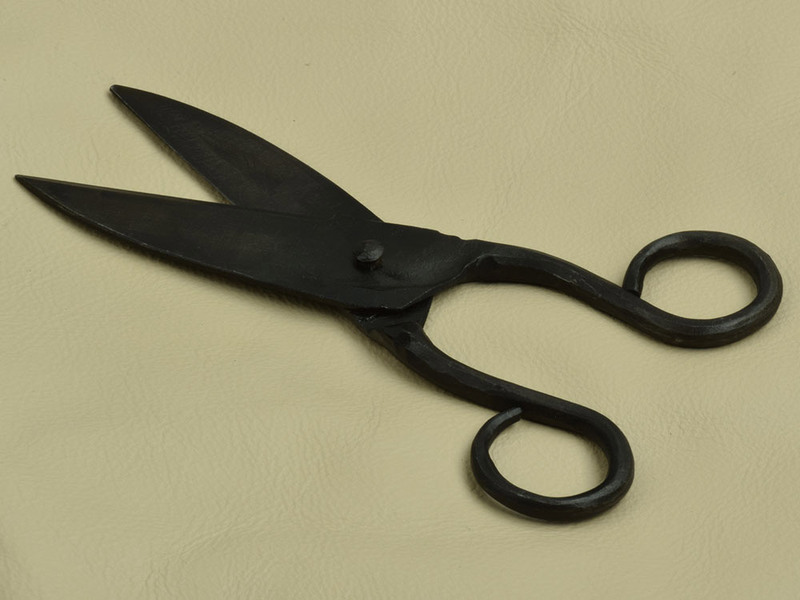 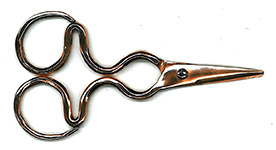 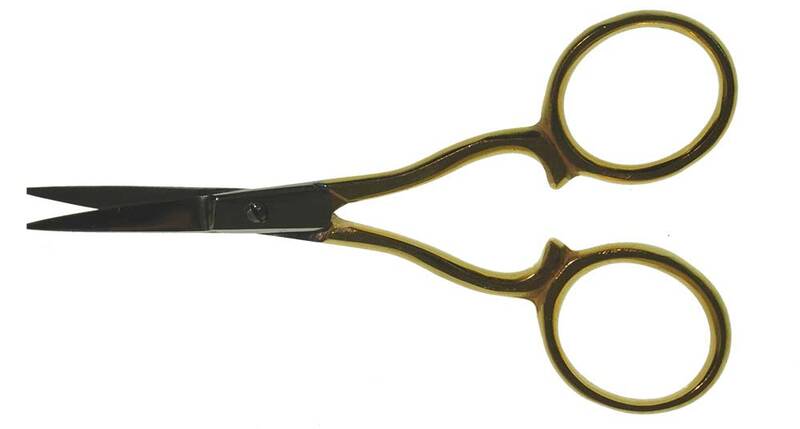 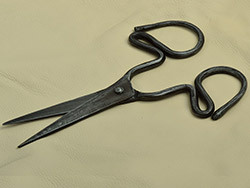 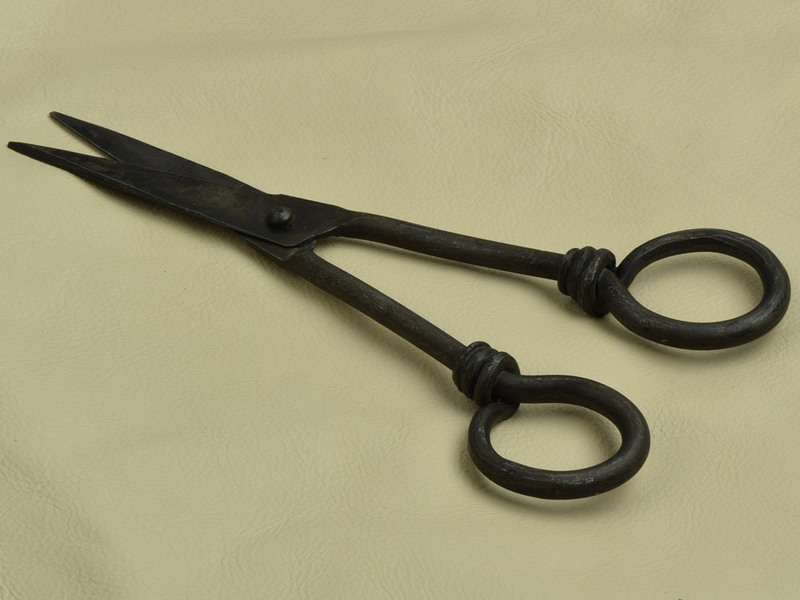 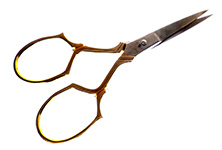 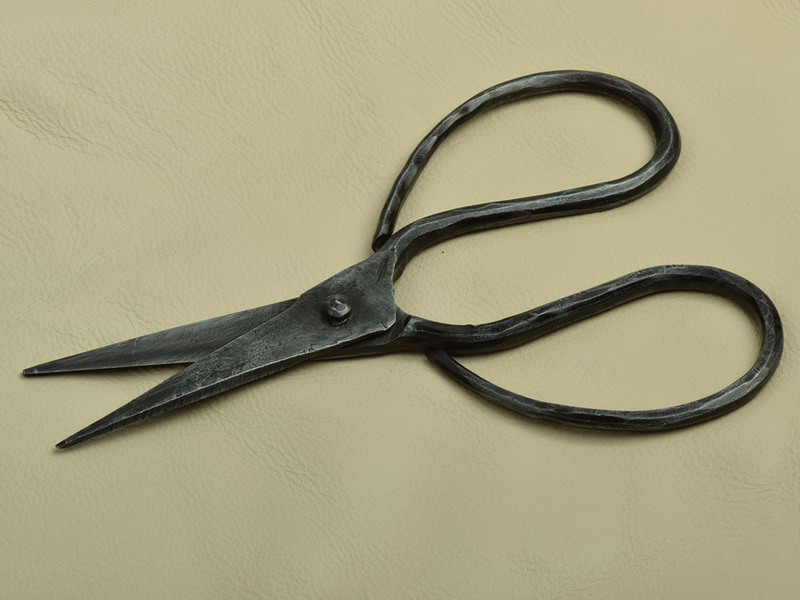 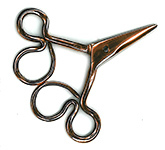 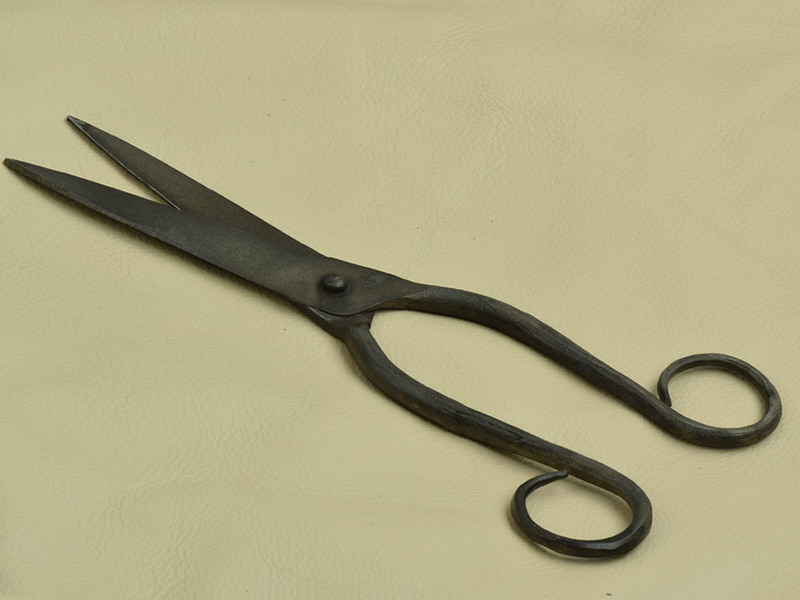 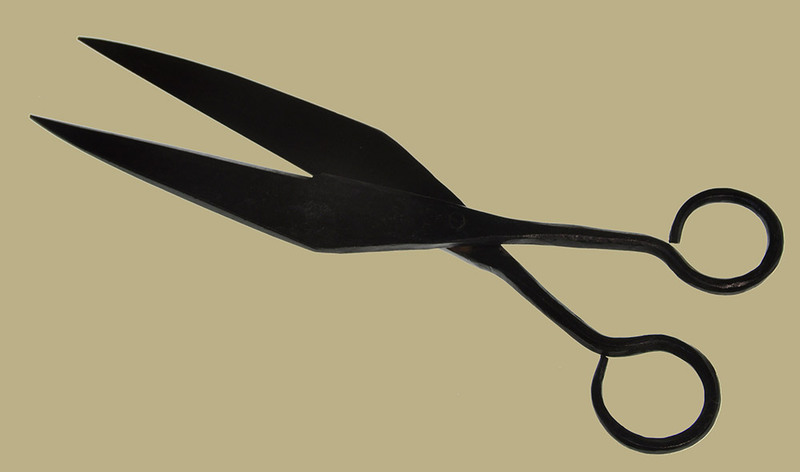 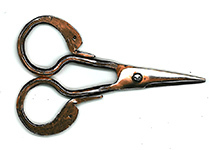 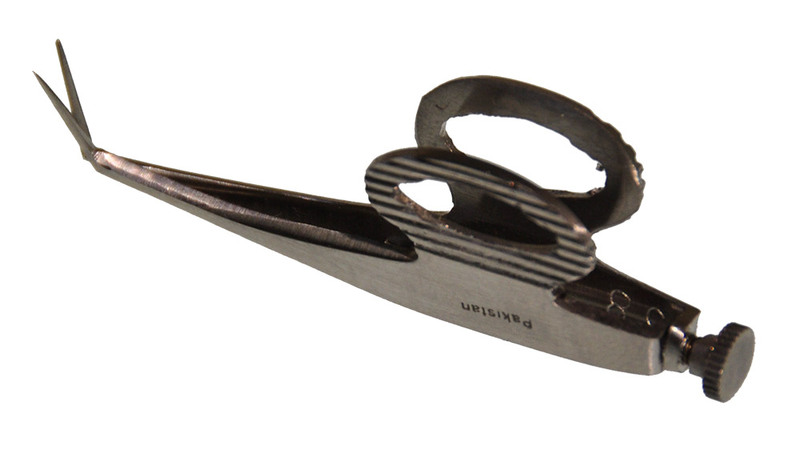 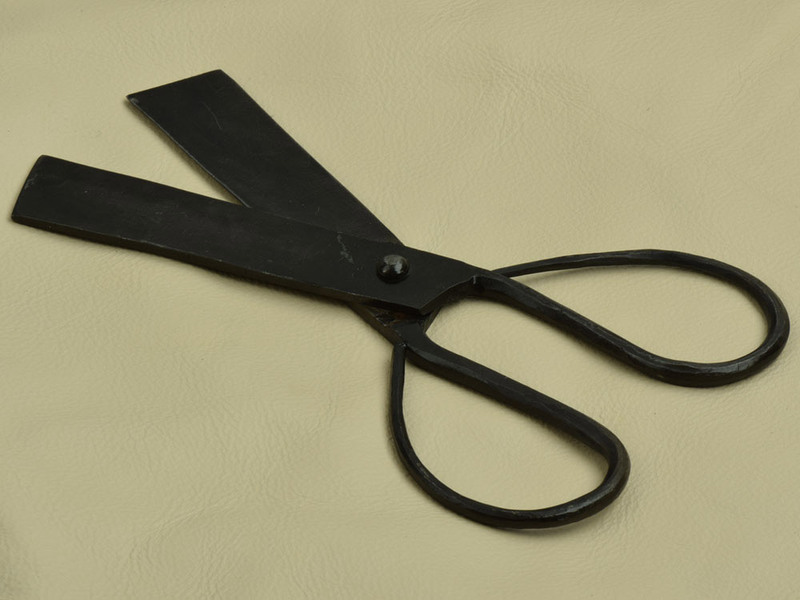 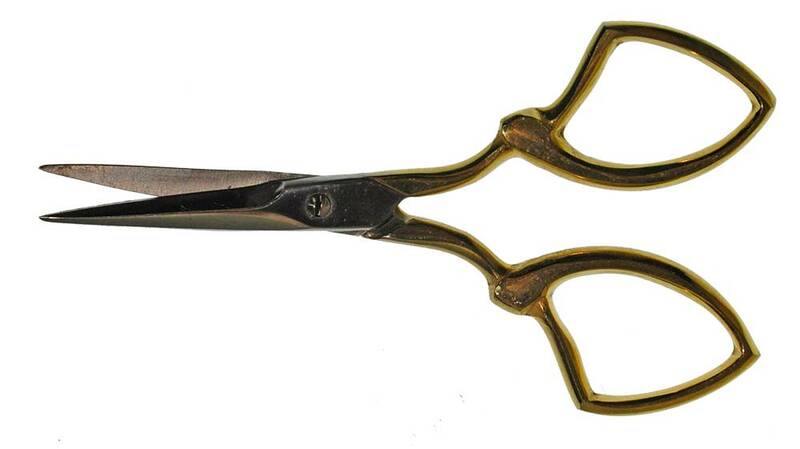 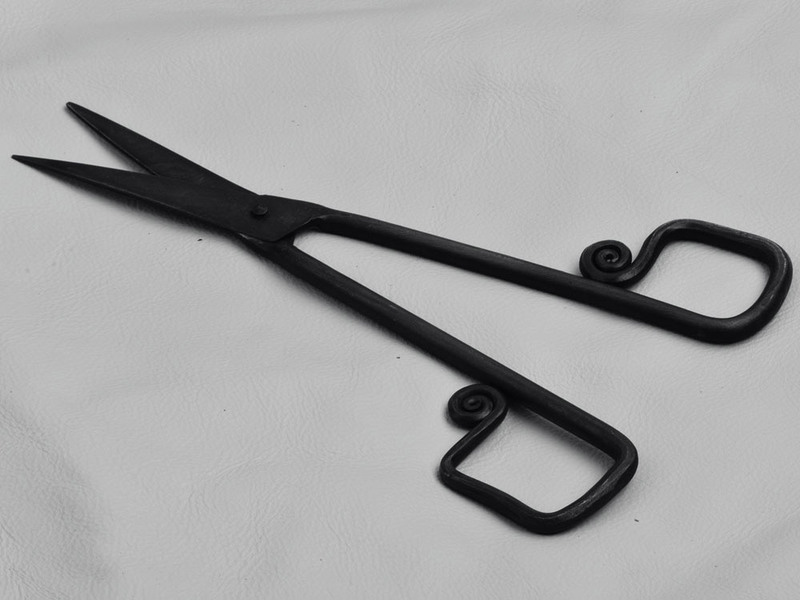 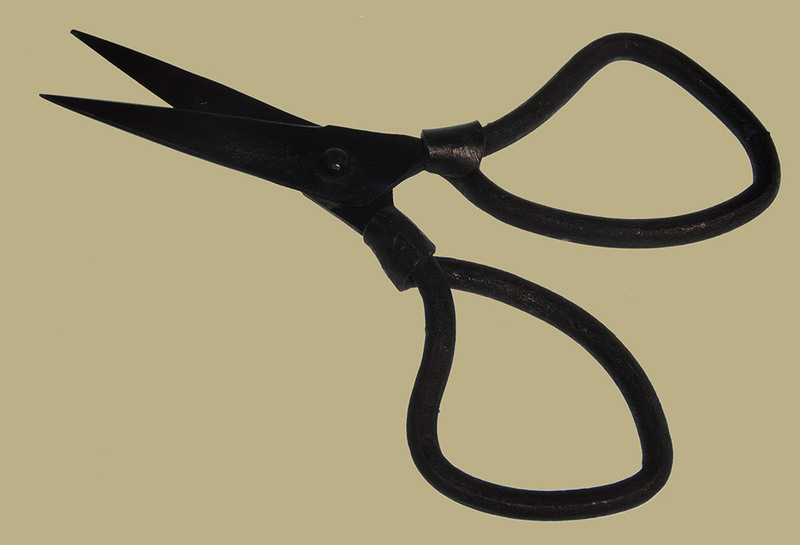 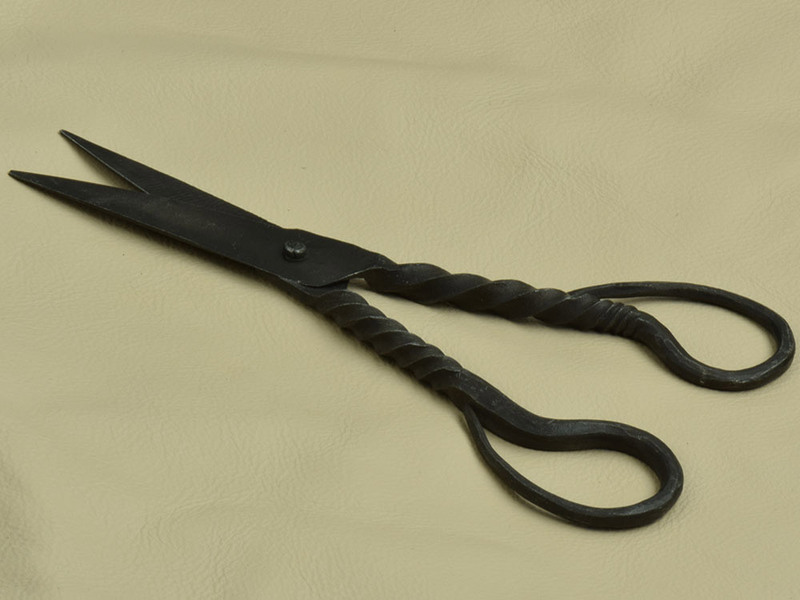 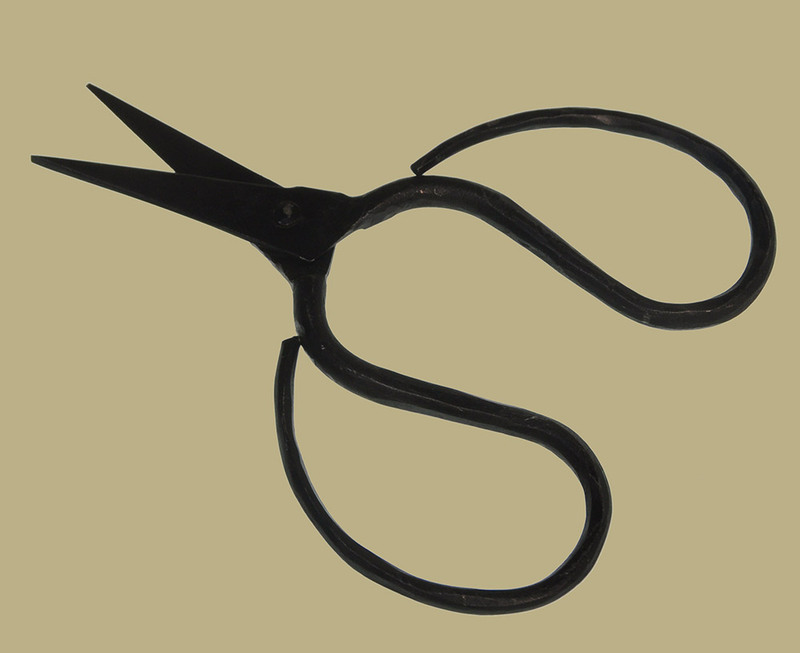 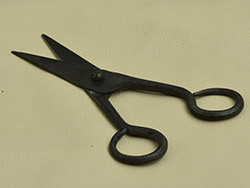 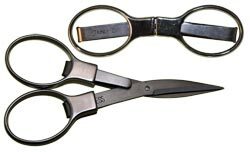 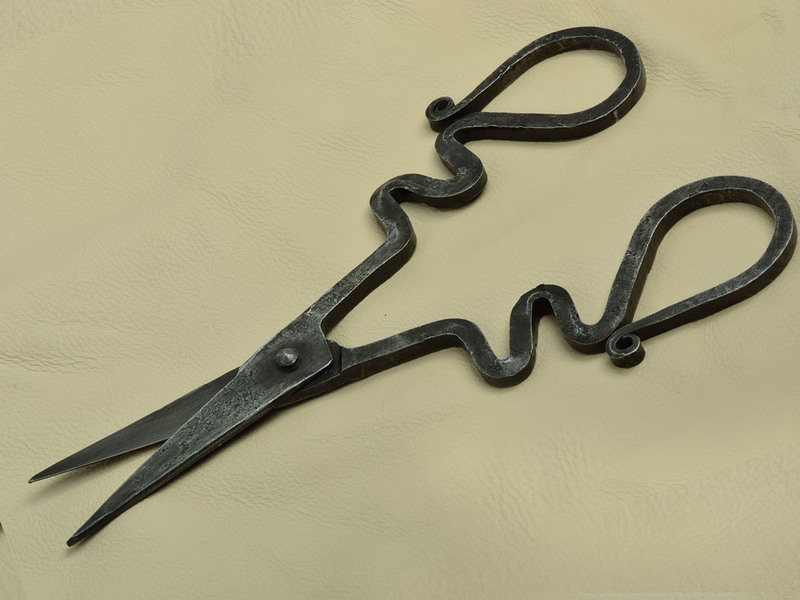 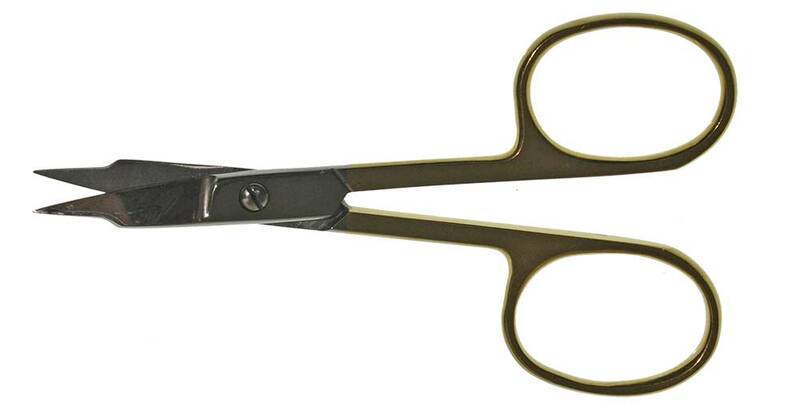 A sharp, all steel folding scissor, ideal for purse or chatelaine. 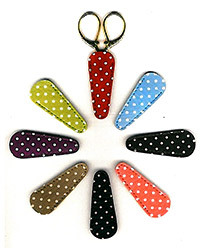 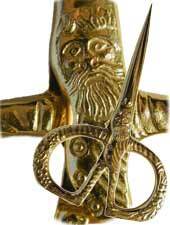 Available in 3" (HL08) $2.00 , 4" (HL09) $1.50 and 5" (HL10) $2.00 open size. All have hole for chatelaine hanging. 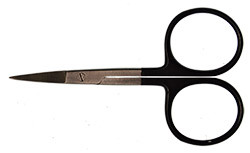 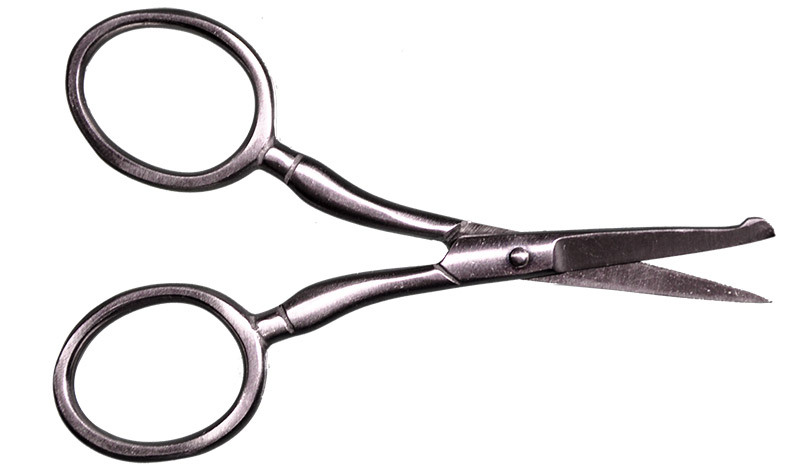 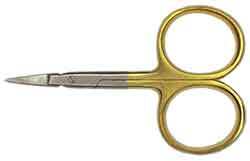 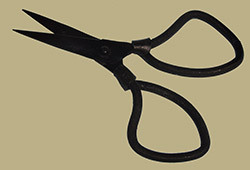 An economical, 4.5" stainless narrow blade "Iris" scissor for trimming, fine needlework, hardanger and paper cuts. 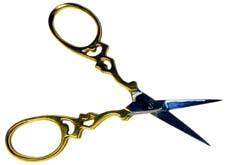 Available with Curved blades (AA10) $4.00 ; and Straight blades (AA11) $4.00 . 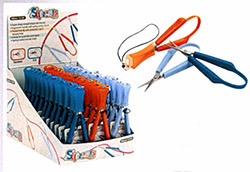 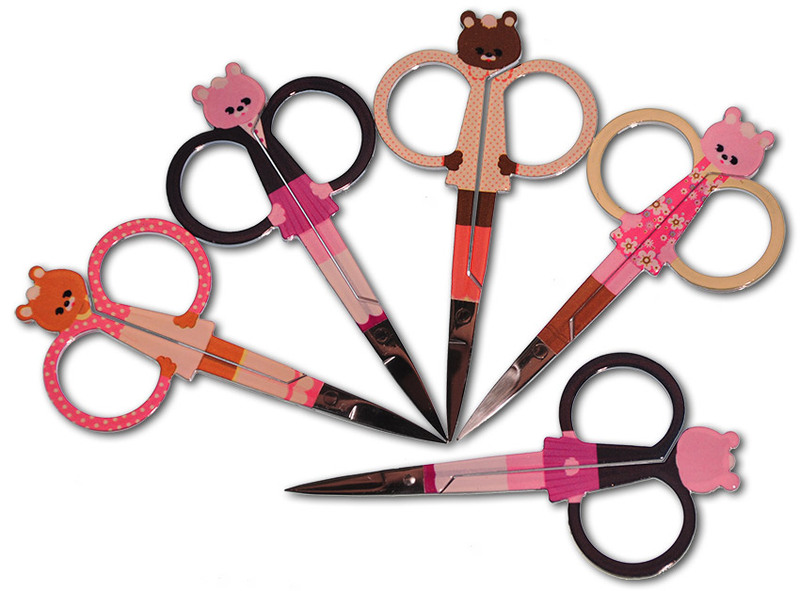 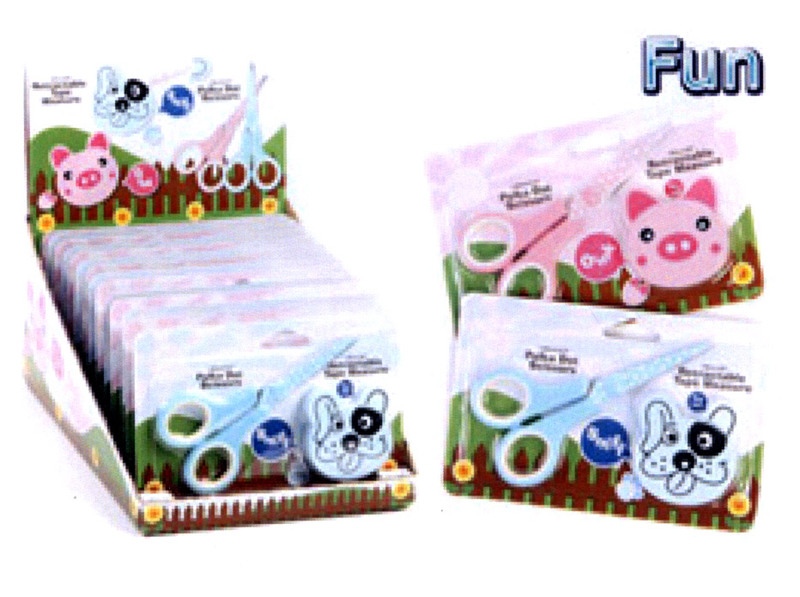 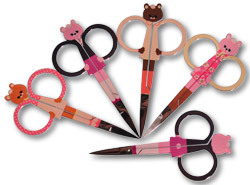 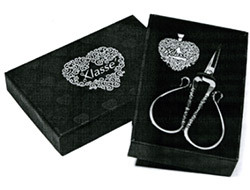 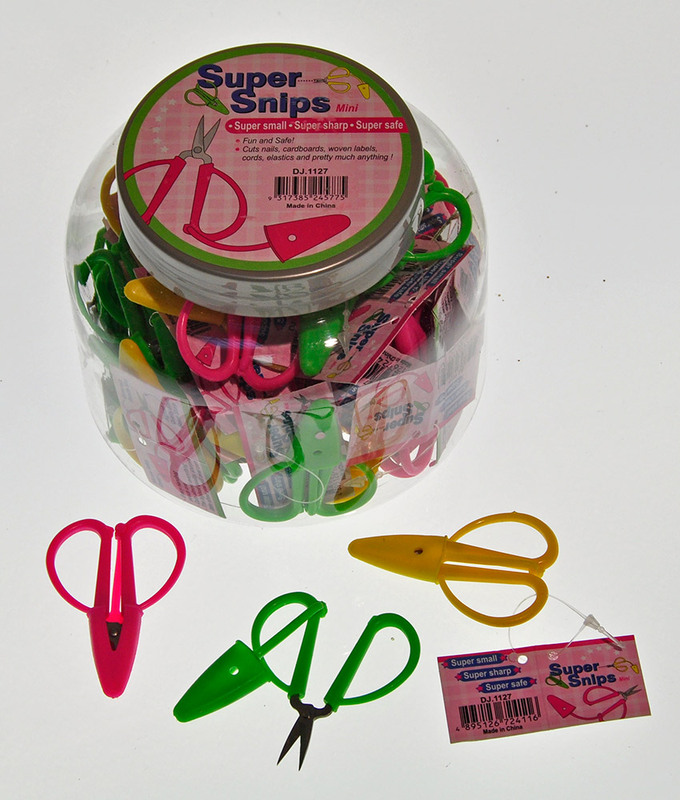 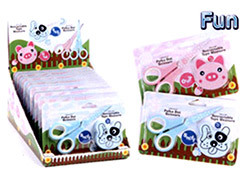 * Larger Finger Embroidery Scissors, 4"
* Scissors, Spring Action Sniop, 4.5"
The 6" Rose Sewing Scissor (KL13) $70.00 is boxed in a handsome gift box. 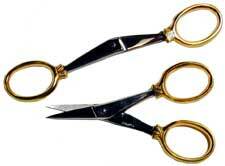 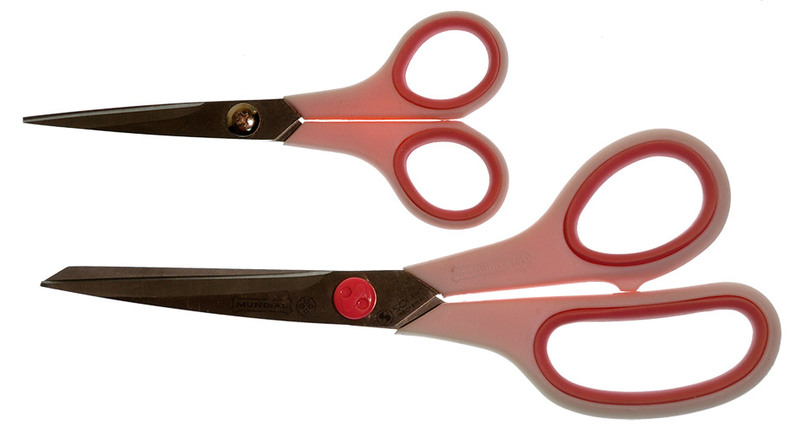 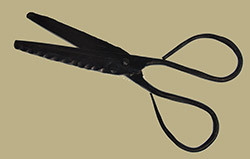 A wide, short, curved blade heavy duty scissor with one serrated blade. 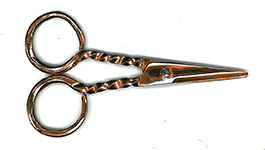 4.5" Stainless steel. 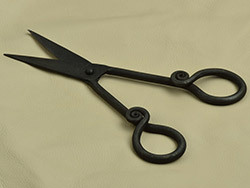 Available with Straight (AA22) $5.00 or Curved (AA23) $6.00 blades. 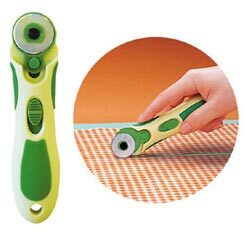 This is the traditional Chinese cutting tool. 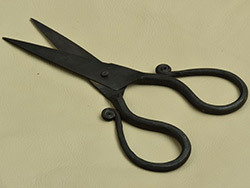 Both blades have extremely sharp knife edges which permit accurate cutting of both paper and cloth. 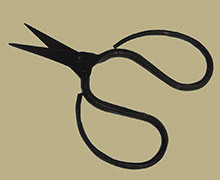 Available in 4" (CS22) $5.00 , 6" (CS21) $7.00 , and 7" (CS20) $10.00 lengths.